In 1975, at the age of 15, he joined the prestigious Jamia Naeemia in Lahore, and received religious education for 10 years. During this time he completed the Faazil Arabic, F.A and B.A as well as Dars-e-Nizami. 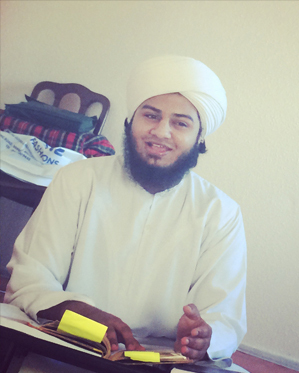 At the age of 25, Allama Arif Hussain started his imamat in Chesham Masjid. For the last 25 years, Allama Arif Hussain has been serving the Muslims of Chesham as a Imam. Imam Arif Hussain devotes most of his time outside his normal duties to make sure there is better cohesion within communities. He does this by working closely with the local Christian and Jewish leaders, the local MP, Police, and councillors, by inviting them to all the mosque open days and meeting with them privately whenever they need to discuss how better there can be unity between the public. This was recognised in an Award that Allama Arif Hussain received in 2008 for services to the community from the Town Mayor. 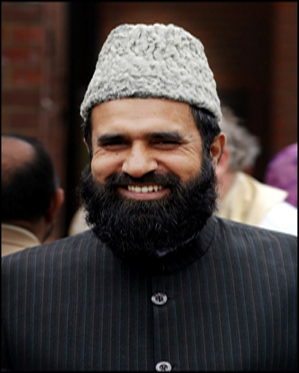 Imam Muhammad Husnain is a British Islamic scholar and a Co founder of IQRA Al QURAN Islamic Educational Academy. He was raised in a household that possessed a tradition and lineage of Islamic scholarship and righteousness by his Grandfather. His grandfather, Shaykh Mufti Qazi Hameed Ulllah, was an early Imam and Mufti of Pakistan, a pious caller to Islam, scholar and a martyr of the communist uprising. Imam Muhammad Husnain As Siddiqi began to teach at the age of 15, while continuing to study and receive lessons from many scholars. He's been serving in the path of Islam for nearly 7 years. He was an Imam in Hemel Masjid, Bedfordshire and is currently serving Deen in Chesham as an Imam and teacher in Chesham Central Masjid.